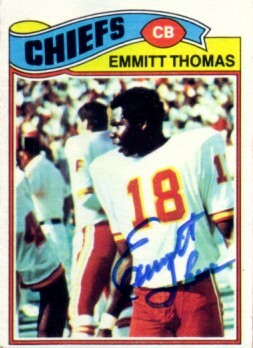 1977 Topps card autographed by Kansas City Chiefs Hall of Fame cornerback Emmitt Thomas. ONLY ONE AVAILABLE FOR SALE. With certificate of authenticity from AutographsForSale.com.